The creators of Gone Home return to PS4 with an emotional new story set on a high-tech space station. Hi there! 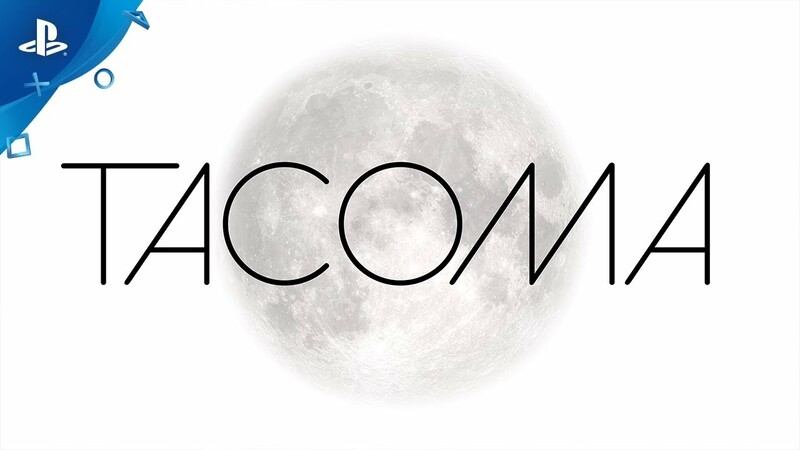 I’m Steve Gaynor, one of the founders of Fullbright, the creators of Gone Home – and today I’m really excited to announce that we’re bringing our latest game, Tacoma, to PlayStation 4! Tacoma is available to pre-order on PS4 for a special discount right now and will officially launch on PlayStation on May 8! At Fullbright, we’re known for our focus on emotional stories and immersive places. Gone Home was all about exploring a family’s house and discovering who they were by what they left behind. 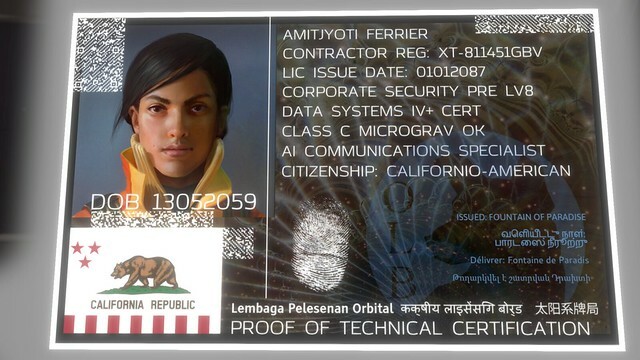 But with Tacoma, we wanted to push ourselves further: to bring the player closer to the story, putting them in the middle of the moments these characters experienced, giving players new interactive tools to discover every detail of the story as it unfolds. 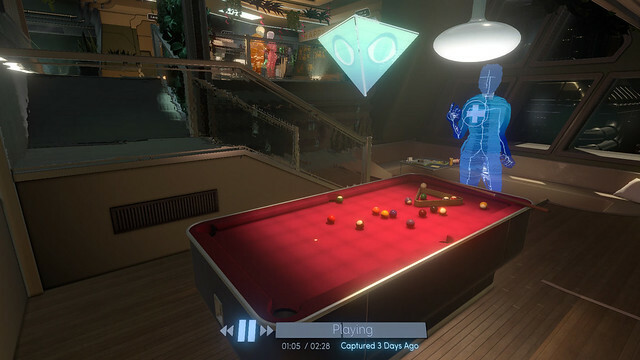 So in Tacoma, you explore a high-tech space station in the year 2088 – and you use the station’s 3D recording and playback technology to put yourself “in the room” as past moments in the missing crew’s lives happen all around you. It’s a totally new way of playing as an “interactive investigator,” both moving yourself through the station’s physical space as a detective finding objects and clues that tell you about who these people are, and also moving the timeline of events forward and back through these immersive 3D recordings, pausing, rewinding, and discovering every moment of the scenes the station’s surveillance technology has captured. In one scene you might hear a heated argument going on in one hidden corridor, and then rewind and find that a tender moment between two crewmembers was happening at the exact same time in just the next room. Or you might experience a disastrous explosion rock the station while observing events in the administrator’s office, then rewind the timeline to discover what each and every other member of the crew was doing leading up to that crucial point. 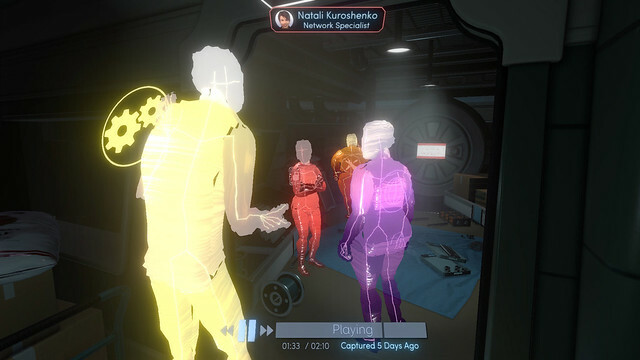 You even have access to the personal communications and “virtual desktops” of each crewmember, showing you the secret information that only they had, informing each individual character’s unique perspective on the world and events around them – perspective that only you, as a kind of “digital detective,” have the tools to uncover. We’re so excited to bring Tacoma to our fans on PS4 – and with Tacoma’s arrival on PlayStation, we’re also adding a brand new mode to the game: the all-new Developer Commentary Mode, featuring over two hours of audio commentary from the writers, designers, artists and programmers who brought Tacoma to life! While we aim to make our games as seamless and immersive as possible, we also love hearing the weird behind-the-scenes stories of how our favorite games are made, where their inspirations came from, and all the tricks of the trade that went into bringing them to life – and that’s just what we aim to bring you with Tacoma’s Commentary Mode! Myself and my story partner Karla discuss the backstories of the characters and our speculative future world; our designers Tynan and Nina talk about all the ins and outs of how the station was built; Hannah our programmer and Noël our animator talk about building the AR scenes and bringing these characters to life; Patrick our sound designer shares insight into where the audio landscape of Tacoma came from; and even more folks jump in to talk about their roles in the creation of the game. If you’ve enjoyed this glimpse into how Tacoma came to be, I really hope you’ll pre-order on PS4 right now or buy the game when it launches on PS4 on May 8! 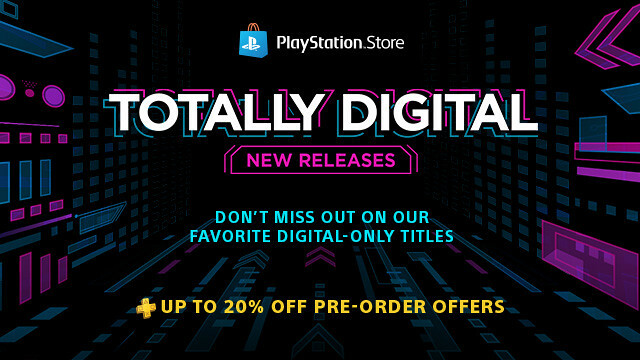 If you order now, you’ll get the game at a limited-time launch discount that won’t last long. Thanks so much for coming along with us on this journey. We can’t wait for you to play Tacoma on your PS4! Been hoping this would come to PS4. Please add a Platinum trophy in this game. Was really disappointed when Gone Home didn’t have one. IT BETTER HAVE A PLAT! Did you ever get an answer, Greg?? There’s a rumor floating out there that Pro enhancements give characters skin with realistic hair and clothes! Just kidding. Otherwise this game is rated M 17 for Strong wireframe sexual themes. Seriously?